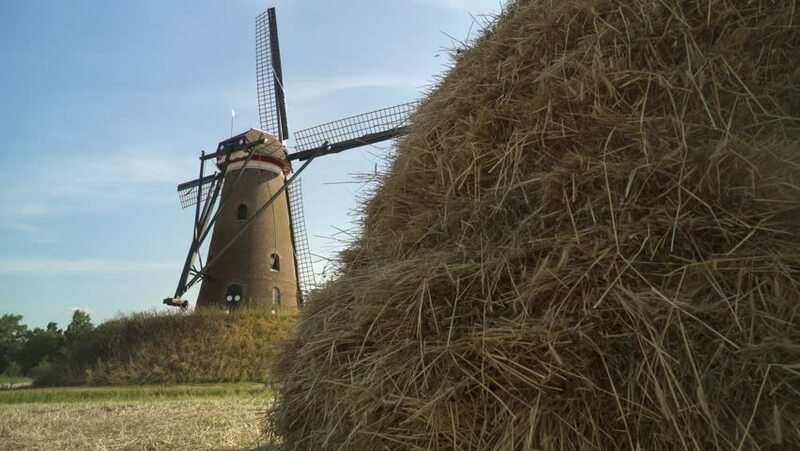 hd00:13Historic windmill at Kinderdijk, Holland. Camera pan. 4k00:21Typical Dutch Windmill with a focuspull to a Bush of cutted wheat peacfully waving in the wind.